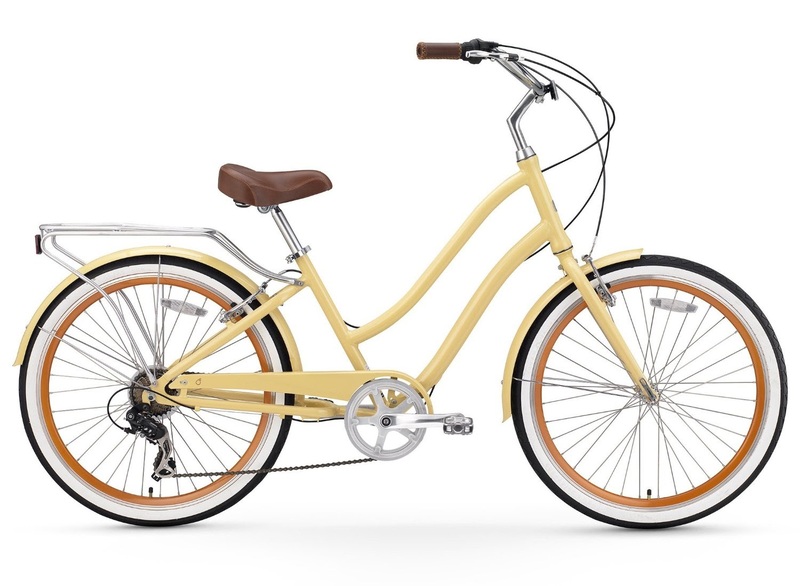 The stylish Sixthreezero EVRYjourney Hybrid Bike, Men and Women’s Cruiser Bikes, are designed with comfort in mind and are ideal for both leisure cycling and urban commuting. 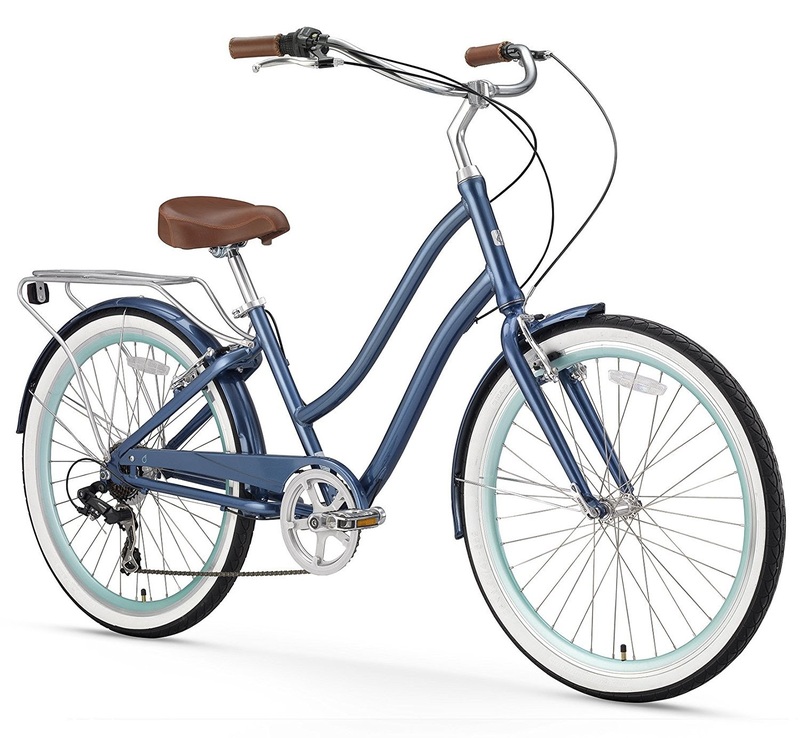 Both the men and women’s versions of the Sixthreezero EVRYjourney Hybrid Bike are designed with a lightweight aluminum frame. The men’s EVRYjourney’s frame is 19” while the women’s is 17.5”. The women’s EVRYjourney’s features a low step-through frame design for easy mounting and dismounting. 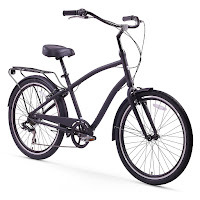 The men’s frame is not as low as the women’s bike but has been designed with a lower than normal swooping frame for easy mounting and dismounting. The sweeping handlebars on both the men and women’s Sixthreezero EVRYjourney combine the curves of a cruiser bike with hybrid handlebars. This unique design gives you a more comfortable upright riding position that helps to keep your shoulders relaxed and your back straight. 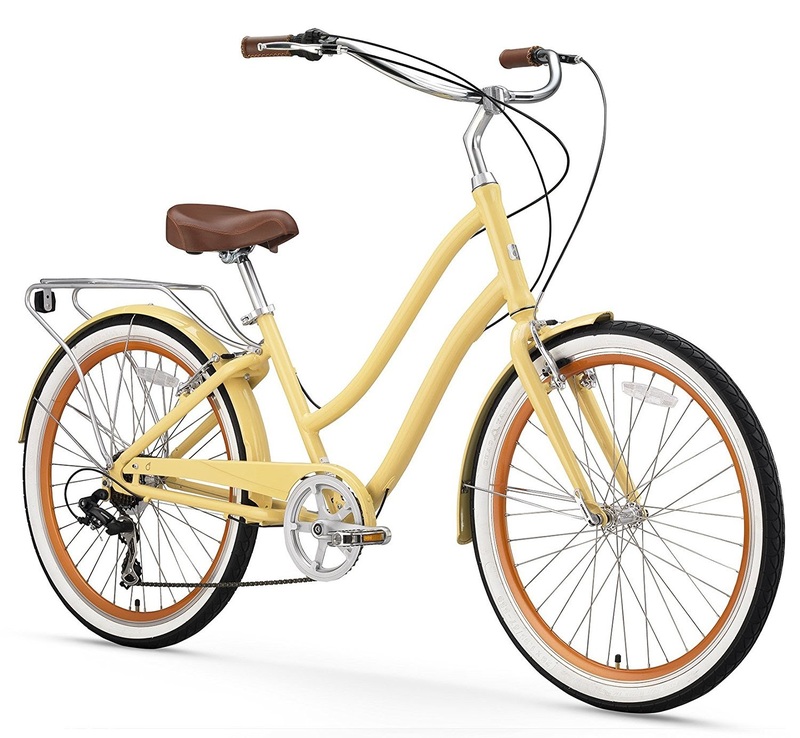 Both the men and women’s versions of the Sixthreezero EVRYjourney bikes are constructed with a forward pedaling design and low center of gravity which combine to help maintain proper leg extension as you cycle while still keeping your back straight. This unique design also allows you to place your feet flat on the ground when you’ve stopped cycling while remaining seated in the saddle. 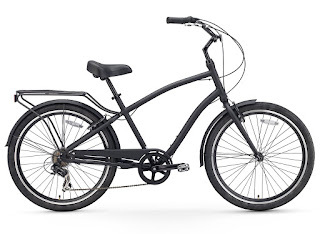 Pedaling is smooth and easy with both the men and women’s EVRYjourney thanks to the cruiser bike’s combined Shimano 7-speed hub and Smooth Cruise Configuration which provides enough torque to tackle hills and ride fast. 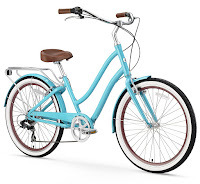 Gears are easy to change with the bike’s smooth twist shifter and both bikes feature front and rear calliper handbrakes to ensure safe stopping power. Both Sixthreezero EVRYjourney bikes feature an extra-wide cushioned dual-spring cruiser saddle that’s designed to absorb bumpy terrain and giving you a more comfortable ride. 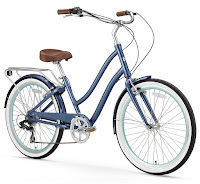 Both EVRYjourney cruiser bikes feature 26” wheels with 1.95” wide semi-slick tires that roll smoothly and absorb bump, giving a more stable ride over a variety of terrains. 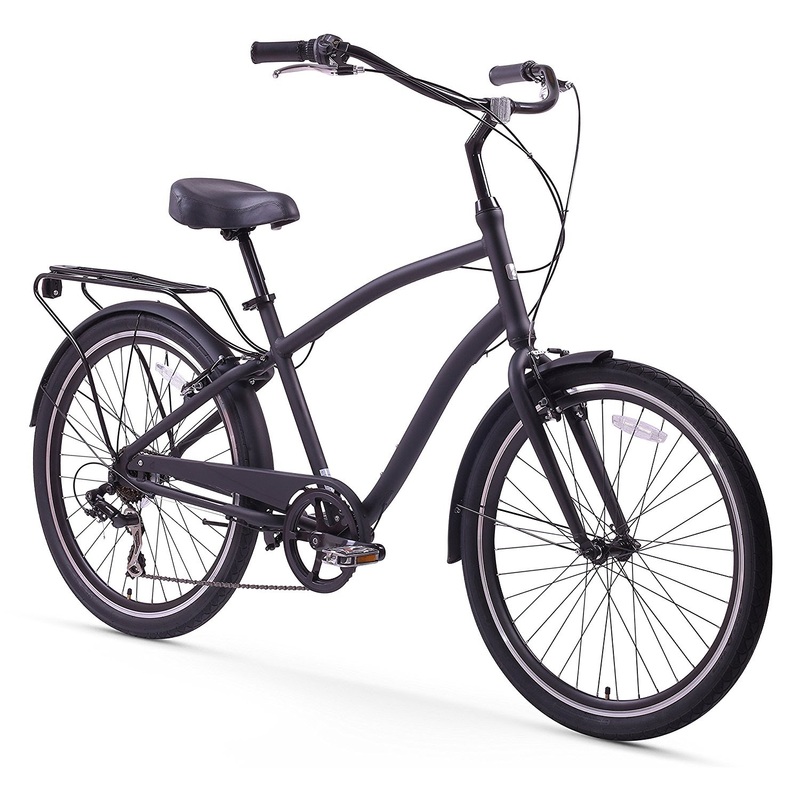 Both the men and women’s Sixthreezero EVRYjourney Hybrid Cruiser Bicycles allow for a maximum user weight capacity of up to 300 lbs and are suitable for a range of rider heights from 5 ft tall up to 6 ft 4” tall. 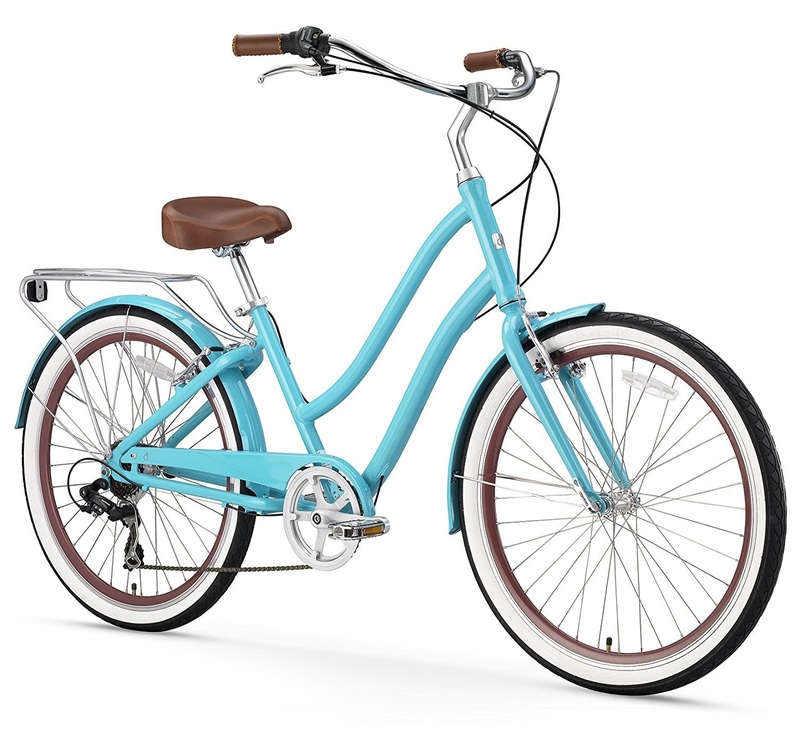 The men’s EVRYjourney comes in a sleek matte black color while the women’s bike comes in a choice of eye-catching colors: cream, navy or teal. Fitness tip: Cycling for just 30 minutes could burn approx. between 207 - 345 calories for women or between 252 - 520 calories for men, depending on the intensity of the cycling. *Prices/discounts/shipping correct at time of writing/publishing and may be subject to change anytime. E&OE.